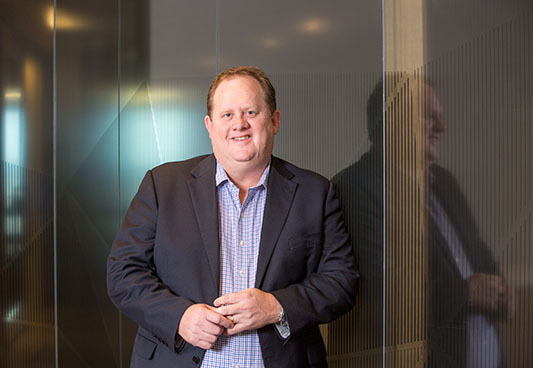 A serial entrepreneur, Bevan Slattery has been successfully building technology businesses in Australia for nearly 15 years. In addition to directorships with listed companies Superloop Limited and Megaport Limited, Bevan is actively involved with many not-for-profit organisations within the community. He served as the President of St Peter’s Western Swimming Club, a role that had him actively involved with Swimming Australia Limited (the country’s peak body for the sport) and eventually led to him being made a Director of Swimming Australia Limited (stepping down in 2016). 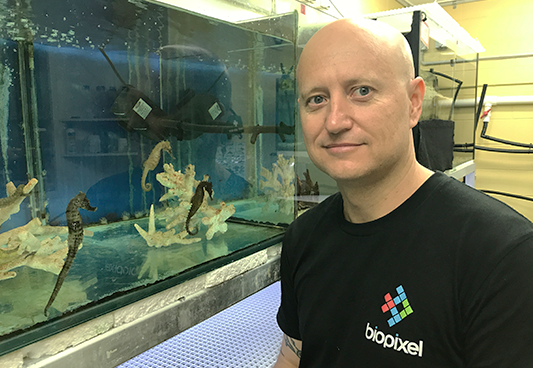 Bevan is a co-founder and owner of Biopixel Pty Ltd, a marine cinematography company based in Cairns that films natural history sequences for some of the largest documentary broadcasters in the world such as BBC, National Geographic and Discovery Channel, among others. A Rockhampton native and a keen diver, Bevan has immense passion for the Great Barrier Reef and its survival for future generations. 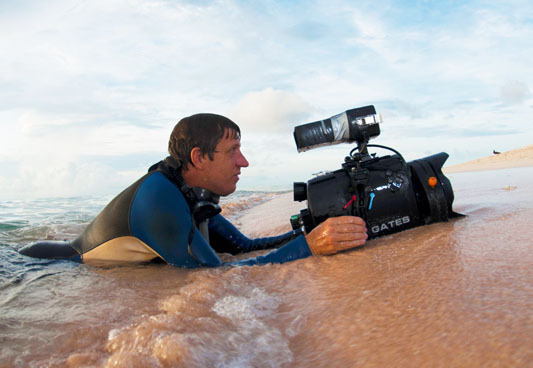 Richard Fitzpatrick ACS is an Emmy winning cinematographer and qualified marine biologist specialising in shark research. Richard is a co-founder and Director of Photography of Biopixel Pty Ltd, a marine cinematography company based in Cairns that films natural history sequences for some of the largest documentary broadcasters in the world such as BBC, National Geographic and Discovery Channel, among others. Richard is an Adjunct researcher at James Cook University in Cairns where he overseas the JCU Aquarium Studio, the largest aquarium studio in the southern hemisphere for natural history filming. Adam has worked in a number of jobs associated with the marine environment including scientific research, education, and as a member of production teams on underwater documentaries. Adam’s research interests include the ecology and conservation of chondrichthyans (sharks, batoids and chimaeras), teleosts and sea turtles. This includes studying the roles of predators in structuring ecosystems, with a focus on predator-prey relationships, and spatial ecology (i.e. migration, movement behaviour and habitat use). Other interests include assessing the effectiveness of Marine Protected Areas for sharks, identifying essential fish habitats, and evaluating the effects of tourism on animal behaviour and health (e.g. shark provisioning and recreational fishing). Presently, Adam is involved in a range of research projects along the east coast of Australia, Papua New Guinea, Fiji, Mozambique and South Africa. 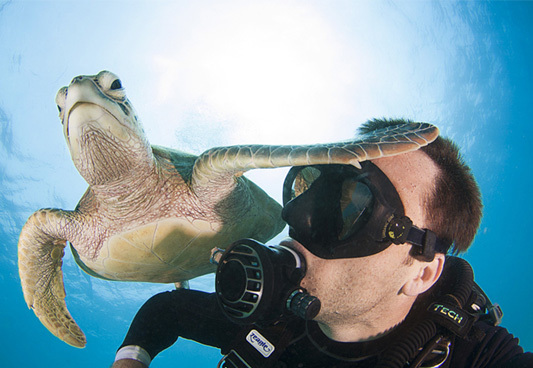 Christian Miller is a multi-award winning photographer, world travelling environmentalist and professional diver who has been working in the field for 15 years. He has worked on expeditions in some of the most remote exotic locations on this planet. Growing up in Germany, Christian didn’t get to the ocean often, but when he did, it was the highlight of his year. He developed an early passion for wildlife, particularly marine life. Being in the ocean soon became his job, with his endless passion leading him to get involved in various campaigns, from youth ambassador programs to collecting snot of whales with drones, from sailing across oceans to lassoing sharks with Richard Fitzpatrick. Hannah is passionate about providing educational media that encourages people to care for their environment. Having spent most of her working life in the travel industry, Hannah has brought her love of sharks and all things aquatic to her role at Biopixel Research. She has been scuba diving for almost 30 years, having completed her first dive certificate on a school work experience program at the tender age of fifteen. When she’s not out on shoots or in the editing suite, Hannah spends her time on marketing and promotional activities. She loves nothing better than to share awesome vision and scientific knowledge through the foundation’s social media channels.